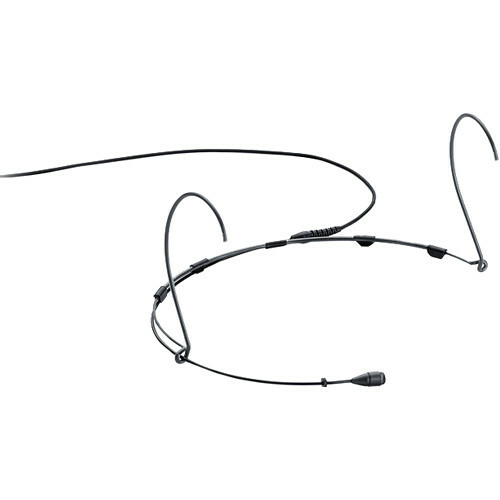 The black d:fine 4066 Omnidirectional Headset Microphone with a Hardwired TA4F Connector for Shure Wireless Systems from DPA Microphones is designed for theater applications and can be mounted on either left or right ear, depending on your preference. It features a double vent protection system that works in tandem with a drop stopper and water-resistant materials in the mic to help prevent damage from humidity. High- and soft-boost grids along with 5 foam windscreens are included.